There will be haters, there will be doubters, there will be non-believers, and then there will be you proving them wrong. Since the late 90’s protein shakes, meal replacements have been on the increase in sales and popularity. Many have it because they have such busy lives that they don’t have the time to sit down for breakfast/lunch/dinner or for weight loss. 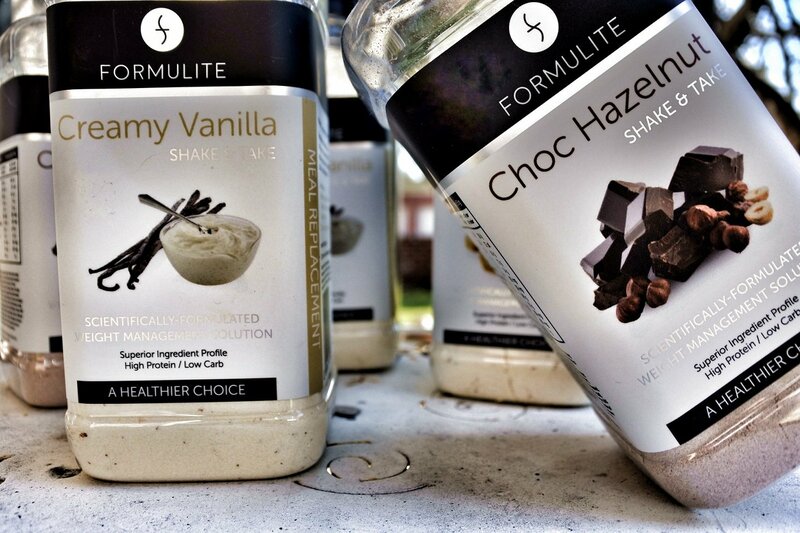 I was recently contacted by Formulite to try their new range of meal replacements products and to give an honest review. First of all I will say that, over the years I have taken the odd protein shake here and there only because I’ve been so busy at my office job that I just didn’t have the time to take a proper break to have lunch meal or there would be some days I did actually forget to bring in my lunch to work. Luckily I always made sure I stashed away some protein shake packs in the bottom of my desk drawer. Until the past couple of years, I never really took much notice on the EXACT ingredients or nutritional value in the shakes. Now, as the world is becoming much more health conscious and suspicious of what goes into every food product, I know make sure before I purchase a protein shake (or any product for that matter) and check the back of the package for its ingredients, the sugars and the nutritional value. 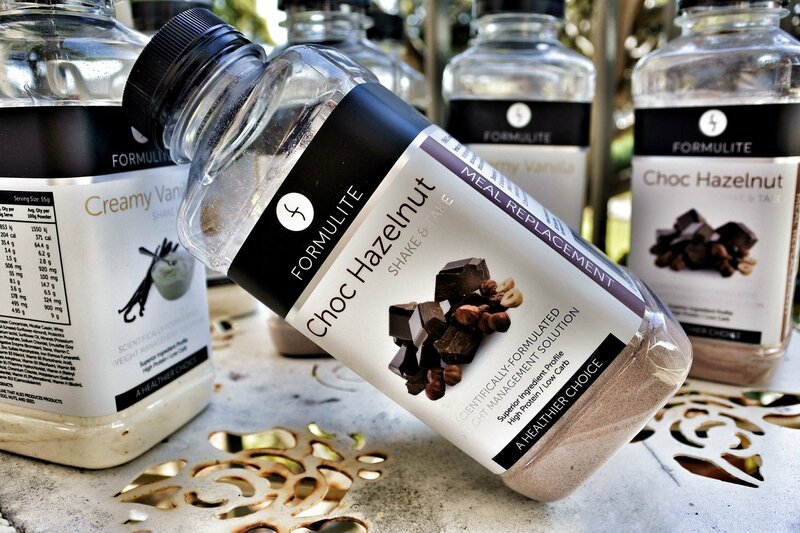 I received sixteen bottles of different flavors (chocolate hazelnut, vanilla, banana and honey comb) and trialled Formulite for the next eights day (having a shake first thing in the morning, and then again at night) and I have been quite impressed by what I have found with them. The packaging is simple, not over the top and doesn’t over shadow the actual product and is easy to read. I was really surprised with the shakes are there was no over-powering taste like you do find in many other shakes or meal replacements. It’s very fulfilling and quite satisfying. Formulite has a very high nutritional density which is designed to make the everyday average person feel full for several hours. After one shake I was full for the first part of the day. I would have my shakes as my break-fast meal, as I tend to come to my office job quite early every morning and once I had it, I didn’t feel like having my usual mid-morning snack or crave anything until it was lunch time. YAY!! Thank you Formulite! The tasting of these shakes are delicious, not too over the top in sweetness (which for me most times is quite off putting) and really don’t feel bland or that you’re drinking paint (not that I have drank paint before haha!). Most products nowadays regularly promote that fruit juices and shakes are the most healthiest options, however if you are like me and check the back of the packaging for their ingredients and nutritinal panel, most times you will be shocked by how much sugar goes into the product! Hello unwanted kilos and diabetes!! With Formulite it couldn’t be more different… the sugar is quite low and is naturally sweetened with stevia (which has zero calories!!) and has no added or artificial sugars and being gluten free. Oh! And also, they have prebiotics and probiotics, giving my stomach and intestines, optimal health it needs. 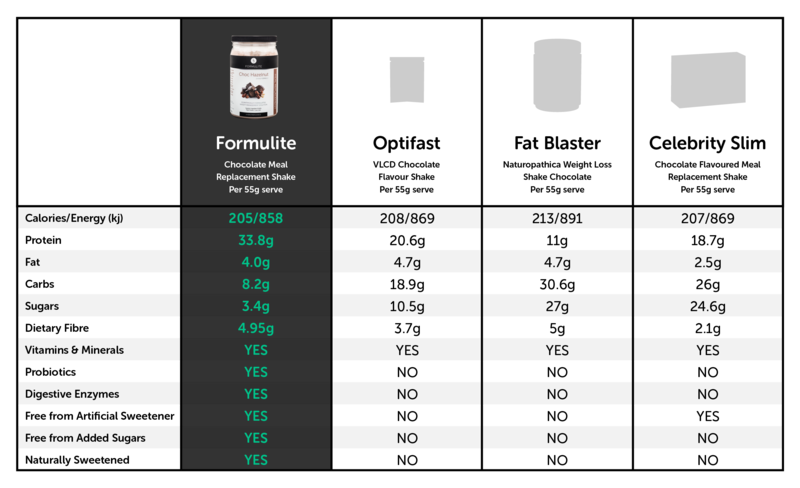 Formulite uses a blend of low-temperature cross flow micro-filtered whey protein isolates and concentrates from grass fed cows. LSA stands for linseeds, sunflower seeds and almonds. LSA is a combination of these three pre-mixed seeds, which have been ground down and included in Formulite shakes. LSA is a rich source of protein, which enables it to help keep your blood sugar levels balanced, while also curbing sugar cravings. It contains a healthy dose of omega-3 fats to help promote a healthy heart and brain function, and boosts bone and skin health thanks to its many vitamins and minerals, including vitamin A, E, D and B, calcium, zinc and magnesium. This mix also plays a role in helping to cleanse and detoxify the liver, regulating cholesterol levels, and eliminating unwanted fat from the body. Other brands use cheaper forms of fats i.e. canola oil. Over 90% of canola oil is genetically modified and is a partially hydrogenated oil. The fat in Formulite products comes only from LSA, sunflower oil and whey protein concentrate. Other brands use added sugar. Countless studies have linked excess sugar to insulin resistance, diabetes, fat gain, blood sugar imbalances etc. Some brands also use added maltodextrin – this is a cheap carbohydrate that in many cases is used as filler. This is highly processed and can have a negative effect on blood sugar levels. Formulite prefers you to source your carbohydrates from whole food sources – mainly fibrous vegetables, and also Formulite prefers not to use unhealthy artificial sweeteners including Aspartame. Many other shakes available have added fructose, which is stored in the form of glycogen in the liver (making shrinking the liver for bariatric surgery more difficult). By the end of the eight days, I did notice I had lost two kilos in weight, and I felt energetic and not as tired. There have been numerous clinical studies conducted all over the world, saying yes meal replacement/protein shakes when they are implemented properly, can be an effective weight loss aid but the key is ALWAYS a balanced diet. I definitely will be incorporating Formulite into my daily diet. 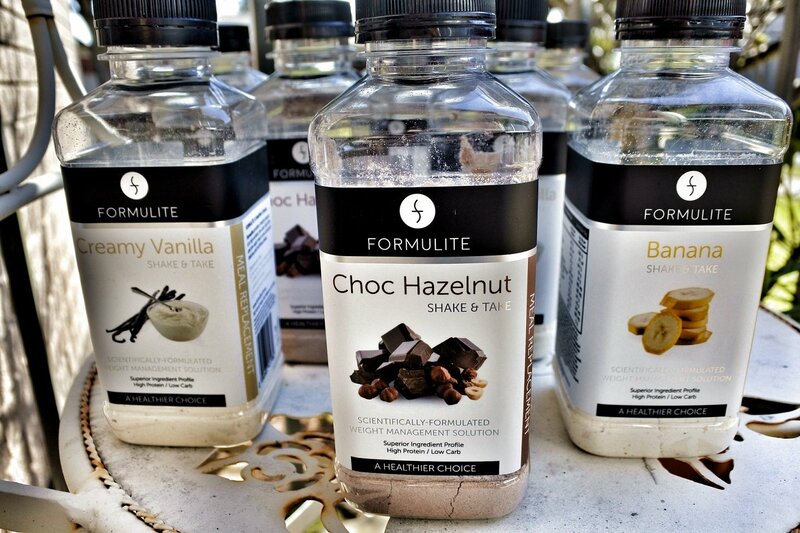 ?Formulite have sent me their meal replacement protein shakes to review (thank you!) – all opinions are 100% my own and true – full disclosure policy here.